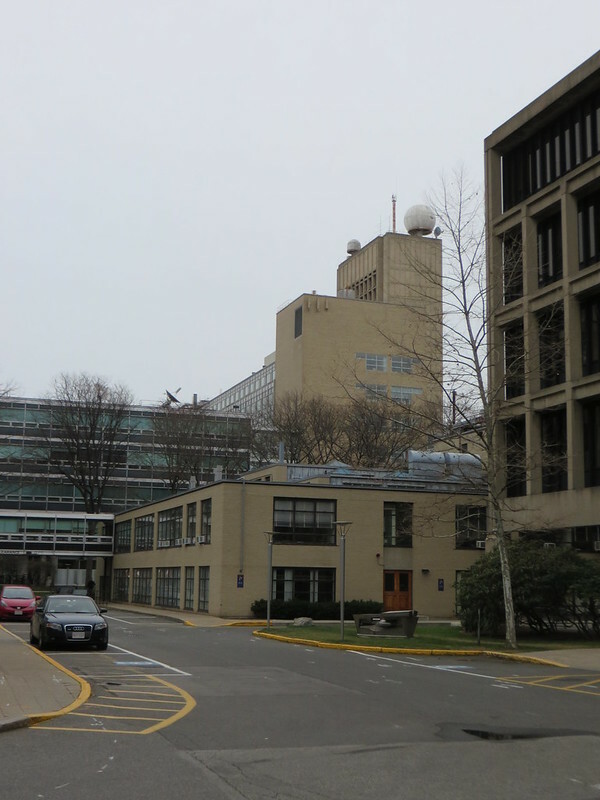 A couple of photos of bldg 12 which will be demolished to make way for MIT.nano. Thanks for the correction. I have edited my note. The walls around the site are so tall I have not been able to get a recent photo of the site. So I assumed they had demolished 12 by now. Last edited by BeeLine; 11-28-2014 at 08:25 PM. The building itself will use 12,000 cubic yards of concrete, 3.4 million pounds of steel, and 53,000 square feet of glass. On its way to the Building 12 site, all of that material will have to pass through just three access points. While traditional construction of such a building would use sheet pilings around the foundation, this project will instead use slurry walls, poured in place. This is expected to produce far less noise and vibration than the driving of sheet pilings. Construction vehicles will use exhaust scrubbing to minimize the impact of fumes on adjacent buildings. The building itself will be constructed with far more steel and less concrete than is typical for such a structure, greatly reducing the number of trucks needed to deliver materials to the construction site. 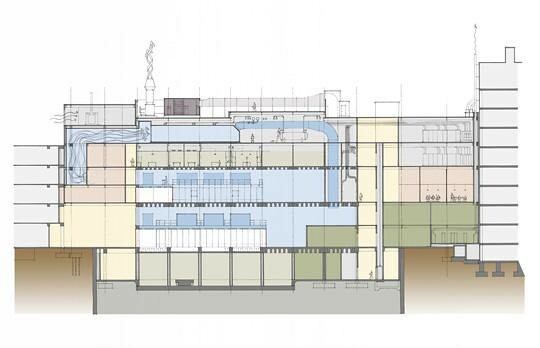 The new building, described by architect Samir Srouji of Wilson Architects as “a stone box wrapped around with a veil of glass,” will connect to Building 13, Building 16, and have easy ground-level access from the Infinite Corridor and Building 24. MIT.nano and the courtyard looking northeast from Building 4. When asked about the $350 million cost of the building, Bulović said that the cost is comparable, per square foot, to that of similar recent buildings at Harvard University and the University of Massachusetts at Lowell. 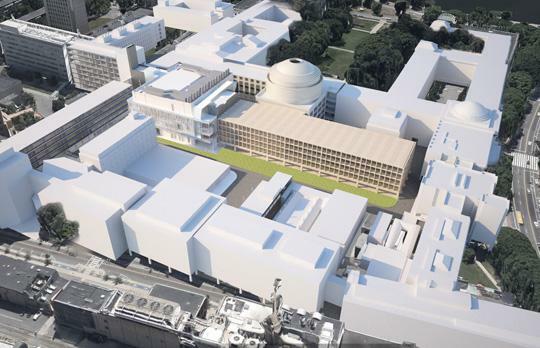 He added that the cleanroom space within MIT.nano is larger than that found at those facilities, and that the new building will include the highest-quality vibration-free space for imaging equipment on the entire MIT campus. Details of the layout and landscaping of spaces between MIT.nano and other buildings are still being worked out, Bulović said, but MIT sees a significant opportunity to animate these as community spaces, he added. But to both my friends and others -- I'm back -- perhaps a bit more subdued? -- but eagaer in particular to see the new gen of towers such as Millenium, Four Seasons, Copley and especially the Congress St. Garage tower spring forth! · Unforeseen conditions at the Bldg. 10 foundation require additional engineering for revised pathway. · Schedule updates will be communicated to the community as information continues to develop. · The utility work at the south end of buildings 17 and 31 has restricted access from Vassar St.
· Coordinated access for approved deliveries and handicap accessible parking in the Main Lot will be from Mass Ave. through Building 9. · This will be two-way traffic until further notice. Last edited by whighlander; 12-19-2014 at 03:46 PM. Outfitted with tools to translate the ideas developed in MIT.nano into prototypes and handheld demos. Two pristine, particle-free environments— each two stories tall and optimized for energy, airflow, and future flexibility—for the design and fabrication of micro- and nanoscale structures. MIT’s “quietest” space for nanoscale viewing, optimized for imaging with low vibration and low electromagnetic interference. Last edited by whighlander; 01-13-2015 at 06:11 PM. Odd question. Does MIT work with the architect and do their own structural engineering on projects like this or do they hire outside firms like normal projects? I don't know. But, I do know. That is a lot of clean room space. That's gonna be fun to design..... And build. They do not self perform their own work. Typically the owner would never hold the contract of a consultant to the architect. The architect holds that contract. It would be a very strange and difficult situation was your client and your consultant. Agreed. I am suggesting that the prime consultants like structure and MEP/FP, Code, Accoustics, Lighting, Civil are not MIT folks. These are "typically" contracts held by the architects. MIT may have their own working groups for programming and equipment planning. I am not involved in this particular project in any way. I am just putting out there what typically happens. If someone were to know that this was being done atypically, I would love to know how it is working, and why its different. MIT through its Capital Projects Office is the owner and also has final responsibility for all that is inside the various spaces within the structure -- such as the imaging and fabrication tools, furniture, etc. MIT.nano will combine the Institute’s nanotechnology, materials, and engineering systems research with the most advanced fabrication tools and materials processing capabilities. 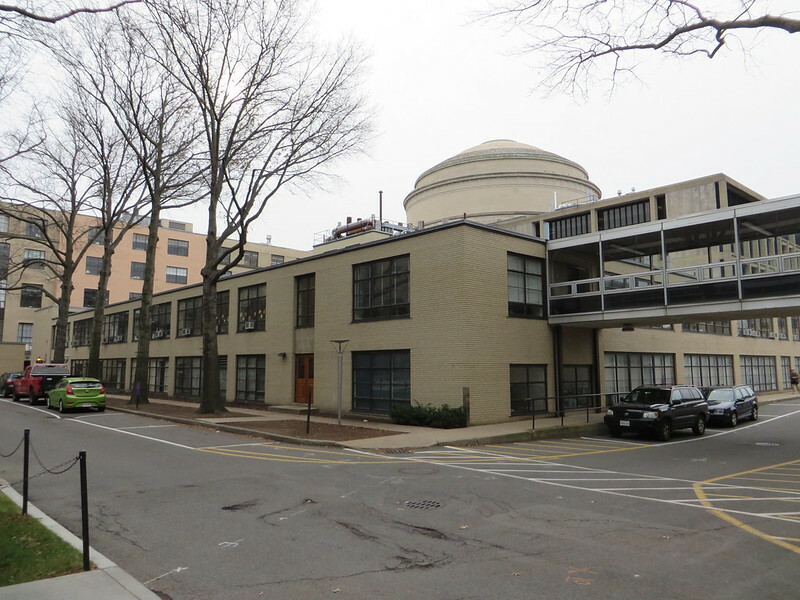 Located steps from the Infinite Corridor and MIT’s Great Dome, the facility will serve 2,000 MIT researchers, faculty and students. MIT.nano will consolidate complex research activities while simultaneously creating new connections and outdoor spaces – transforming the significant site into a campus-wide asset and new destination for the Institute. 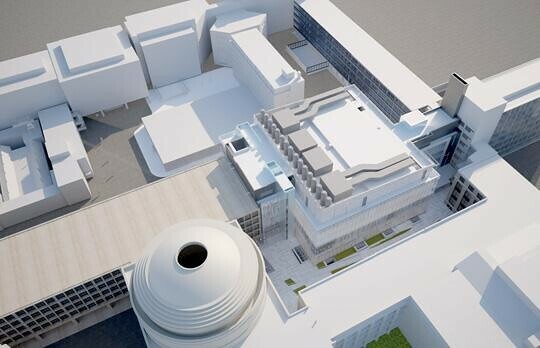 MIT.nano is envisioned to become an exciting new hub for MIT’s School of Engineering and includes material science, imaging and chemistry teaching facilities. MIT.nano is a centralized, high-tech facility for materials, structures and systems research aimed to advance the next generation of micro- and nano- technologies for the Massachusetts Institute of Technology. Last edited by whighlander; 02-23-2015 at 12:19 PM.